The September primary will be here before you know it! 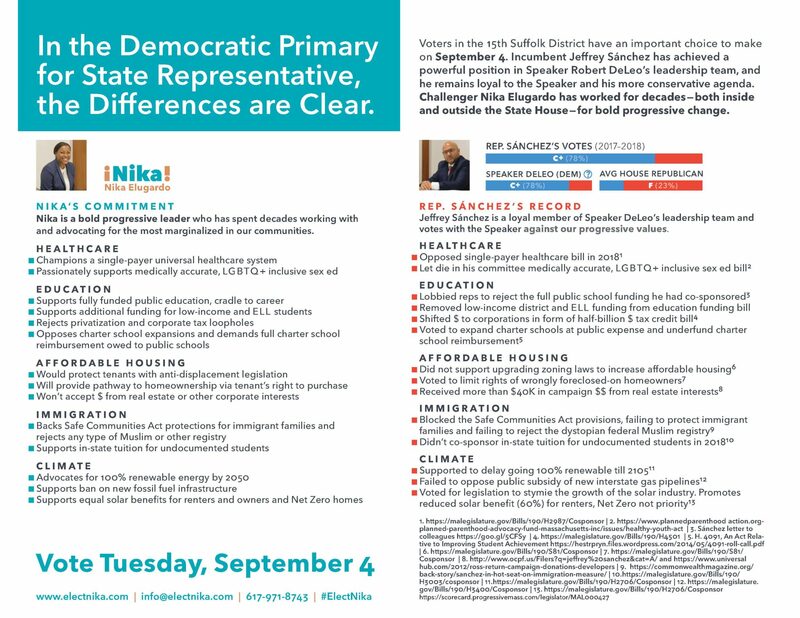 Spread the word about Nika by sharing this graphic which clearly shows the differences between the candidates. Let people know a vote for Nika is a vote for a bold progressive leader who is committed to advocating for the most marginalized in our communities! And if you haven’t seen it yet, you can watch this 3 minute video about the differences between the candidates!